LP met een gewicht van 180 gram, gemaakt in Duitsland door Speakers Corner Records. Puur analoog, audiofiele mastering vanaf de originele mastertapes. Originele uitgever: Reprise. Leveringsomvang: 1 x 33 toeren langspeelplaat in een LP cover (350gr/m2) met gevoerde binnenhoes. Planète Disque verpakt iedere LP zorgvuldig in een stevige doos met opvulkartons en een luxe plastic buitenhoes van PVC. A good 20 years have passed since a band with ancient musicians from Cuba – the Buena Vista Social Club – took the world by storm. 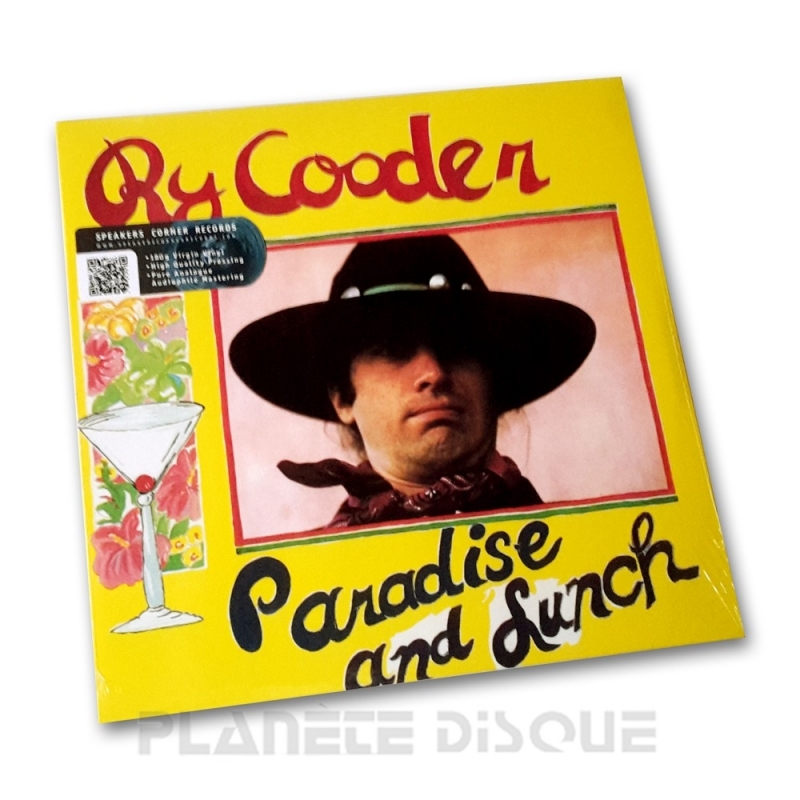 Behind the project, in the wings yet right in the midst of this unheard-of music, was Ry Cooder, who regarded this encounter as the greatest musical event of his entire life. The bottleneck guitar hero had always been very interested in the music from the other Americas ever since the solo albums he made in his early years, in which he told the story of the American folk and blues in a multitude of styles. The LP "Paradise And Lunch" is no exception and begins with gospel-like grooves that smell of native soil. The faint smell of a wooden church from pioneering days wafts out of the processional antiphonal song "Jesus On The Mainline" and a healthy 12-bar blues paints a picture of what silent witnesses could tell if they could ("If Walls Could Talk"). Cooder and his sidemen felt themselves perfectly at home when adventuring further afield and this is testified to in the laid-back calypso rhythm of "It’s All Over Now" and the clip-clop of "Mexican Divorce".